IASB will host its eighth biennial LeaderShop Academy Symposium on June 9 in Naperville. 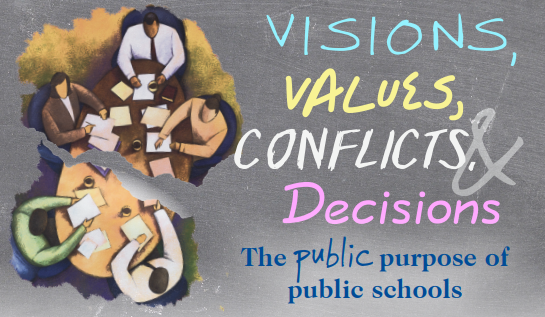 Titled “Visions, Values, Conflicts and Decisions,” the event is an exclusive, members-only workshop for school board LeaderShop Academy members and their superintendents. 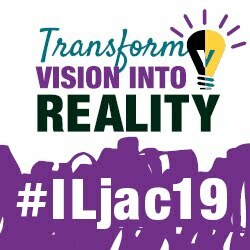 The presenter is Phil Boyle, Ph.D. and the interactive workshop is based on his best-selling book, Preserving the Public in Public Schools. Through large and small group activities, Symposium participants will address the critical role of school board members in a democratic society; the core values underlying public problems, conflicts, and choices in public schools; and the reasons why we use governing boards rather than individuals to make public decisions. Boyle is public service faculty member in the Carl Vinson Institute of Government at the University of Georgia and a partner in Leading and Governing Associates, a public leadership and governance education consulting practice. The Symposium is designed to provide professional development for board members who have earned Academy Membership and are seeking advanced leadership skills. The LeaderShop Academy Symposium will take place June 9, 2018 on the campus of NIU-Naperville. The cost is $200 per person, which includes workshop materials, continental breakfast, and lunch. Registration is underway, and seating is limited. For more information, contact Peggy Goone, at pgoone@iasb.com or 217/528-9688 ext. 1103.